Aaron Hicks got 4 hits, including a homer, driving in 3, scoring 3 and stole a base as the Yankees beat the champion Cubs 11-6. Jake Odorizzi struck out 6 Blue Jays and allowed 3 hits and 1 run over 7 to get the 6-1 victory for the Rays. Cody Bellinger got on base 3 times, homered, stole a base and drove in 5 to help the Dodgers clobber the Padres, 10-2. Gerrit Cole held the Brewers to 2 hits and 1 run while striking out 8 in 7 innings. He did not get the win but did set up the Pirates 2-1 win. Cole Hamels struck out 11 Astros over 8 innings, allowing just 5 hits and 1 run and earned the decision in the Rangers 9-2 blow out. David Ortiz reached base 5 times, including 2 doubles and a homer, driving in 3 and helping the Red Sox top Cleveland, 5-2. If not for a strange hop in centerfield, he would have had the cycle. Madison Bumgarner not only threw 7 2/3 innings of 3 hit shutout ball, but he drove in the only run of the game in the Giants 1-0 thriller against the Cubs. Cameron Rupp went 3 for 4 with a homer in Philadelphia’s 5-0 victory over Atlanta. They all owned baseball on May 22, 2016. 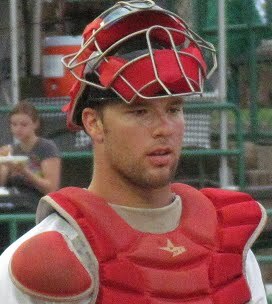 Jonathan Hacohen: Today on MLB reports we are proud to feature Philadelphia Phillies Prospect: Cameron Rupp. Originally drafted by the Pirates in the 43rd round in the 2007 MLB Draft, Jake was later drafted and signed with the Phillies after being taken in the 3rd round in 2010. One of the most dynamic players that we have enjoyed the pleasure of getting to know, Cameron is truly one in a million. Born and raised in Texas, Cameron chose in 2007 to attend the University of Texas over signing with the Pirates. 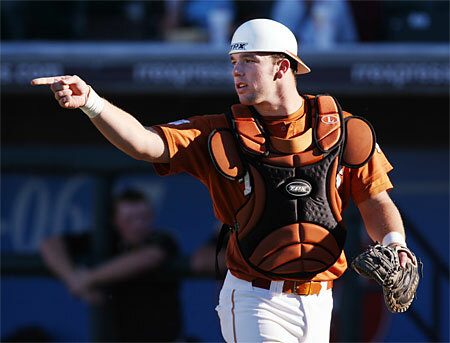 After a successful career at Texas, including a trip to the College World Series, Cameron was drafted by one of the best organizations in baseball, the Philadelphia Phillies. Coming up their system, Cameron just competed a full season in A-ball, playing for the Lakewood Blue Claws. As his twitter description says, Cameron loves “drinkin beers and killin deers.” A good old-fashioned Texas boy at heart, Cameron loves the game of baseball and is an extremely grounded young man. For an organization in need of a long-term solution behind the plate, the team has the answer coming up through its system in the form of Cameron Rupp. The 23-year old Rupp has a bright future ahead, as strong catching prospects are a rare breed in the game today. Watch out Philadelphia: Cameron Rupp is on his way! MLB reports: First question: Tell us about growing up in Texas- is it all cowboy hats and oil barons? Cameron Rupp: Living in Texas is Cowboys and Oil Barons in some parts, and I have had the fortunate opportunity to be around that lifestyle, riding horses, working cattle, etc. But for the most part it is a normal life, like most kids in a suburb town north of Dallas playing sports and hanging with my friends. MLB reports: Love your Twitter profile: “I’m from Texas, drinkin beer and killin deers is my way of life”. All true? Cameron Rupp: A buddy of mind made that for me. I do enjoy being from Texas. I do enjoy a beer from time to time with my buddies and going deer hunting with my cousins. MLB reports: You were originally drafted by the Pirates in 2007. You chose to go to Texas and become a Longhorn. Easy decision? What was the process like in deciding on school over pro ball? Cameron Rupp: The fact that I was drafted in the 43rd round made it an easy decision and a college education was an important goal for me. In order for me to have decided on pro baseball out of high school, it would have required a substantial signing bonus and an early round draft pick. I believe the decision that my family and I made was a very good decision and time has shown that. I had a terrific career at the University of Texas, which was a life long dream. The chance to play in the College World Series and for a National Championship was awesome and I have a lot of lifelong friends and teammates as a result. Cameron Rupp: Ivan “Pudge” Rodriquez. He was a catcher and played for the Texas Rangers, my team growing up. He was successful and played the position the way I wanted to be able to play it. Cameron Rupp: Derek Jeter. He does it right, both on and off the field. Cameron Rupp: I want to continue to progress with my skills and become more consistent. I would like to be a better defensive catcher, working on my throwing and working with the pitchers to call a game to their strengths. Offensively I want to hit .300 with some power. I want to continue to move through the organization to my ultimate goal of playing in the big leagues. MLB reports: You go from a 43rd round pick by the Pirates to a 3rd round pick by the Phillies in 2010. How did you find out you were drafted? Big party that night? Cameron Rupp: I was playing in the Super Regional that week at the University of Texas. We were practicing the morning of the draft and during practice, the head of baseball operations walked out and told me the Phillies had drafted me in the 3rd round. A number of my teammates were drafted so we celebrated together that evening. MLB reports: Did you expect to go to the Phillies- did you think you would go as early as the third round? Cameron Rupp: Honestly I was hoping to go earlier, as I had talked to many different organizations that had said that was a possibility. But the third round was great. The Phillies were a surprise because I had conversations and interviews with other organizations that seem to show more interest. But I hope I can show the Phillies made a good choice and justify their confidence in me to draft me in the third round. MLB reports: You start off your career as a Williamsport Crosscutter and then moved to being a Lakewood Blue Claw last season. Tell us about your first two professional teams. Cameron Rupp: Of course there is a transition from college to pro and it took a little time for me to adjust, as I went like 0-15 to begin my pro career. I think you press a little at the beginning and being an early draft choice, you feel the pressure to perform. I enjoyed the my first year at Williamsport learning how to play pro ball and hit with wood on a consistent basis. You begin to learn the routine of going to the ballpark and playing everyday. The second season in Lakewood was great, adjusting to a full season of 140 plus games and learning to manage the grind. But when you love something as much as I do playing baseball, it’s not too much of grind. In Lakewood, I started really slow but finish much stronger during the second half of the year. I need this to carryover into my third year and put together two halves like the second half of last year. I also enjoyed the people of both Williamsport and Lakewood. The support of the minor league fan is outstanding. Cameron Rupp: I was very excited to start a new part of my baseball career. 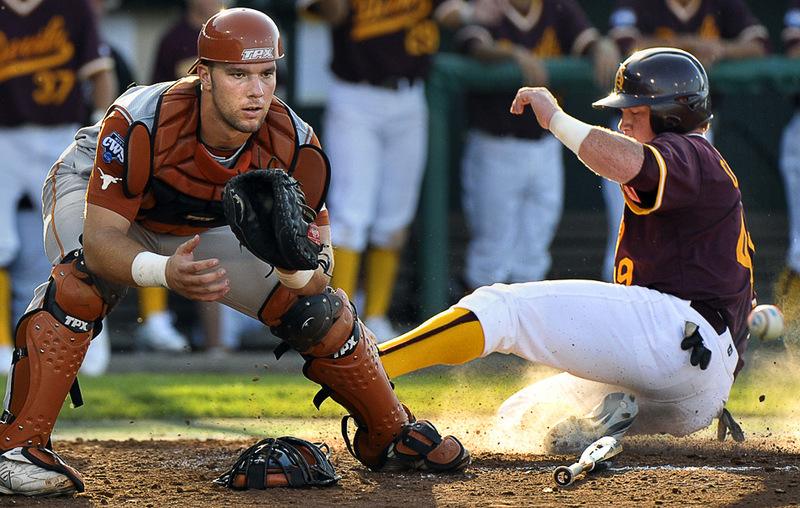 Playing baseball at UT (University of Texas) was a phenomenal experience. 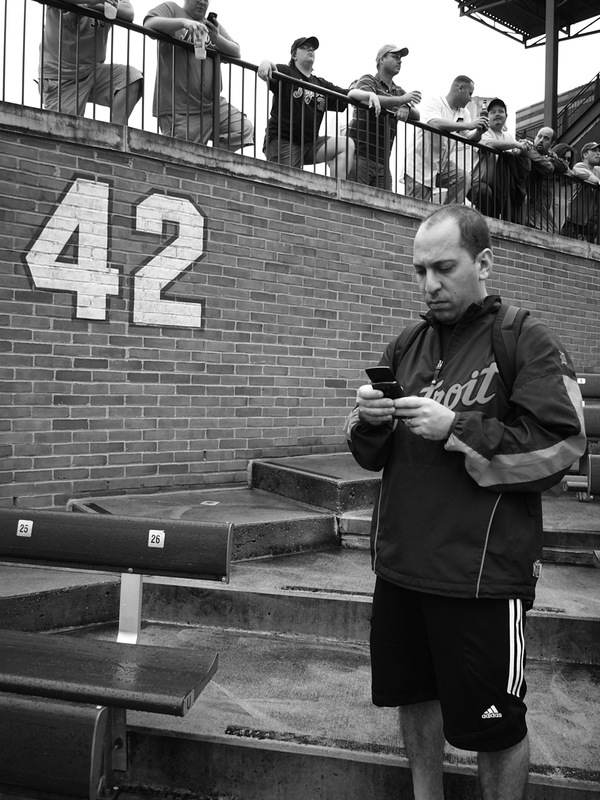 They kind of treated like us like we were in the big leagues, so it was adjustment. It was nice not to have to worry about school and classes and to just focus on baseball. As mentioned before, learning to hit with wood, learning the routine of playing everyday, going to the ballpark and staying mentally focused everyday, for every at-bat and pitch. MLB reports: At what age did you know that you would be a catcher? Do you see yourself staying behind the plate long-term? 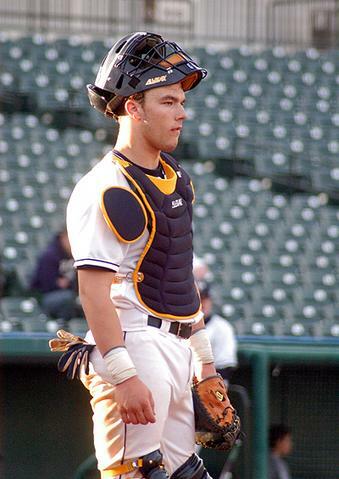 Cameron Rupp: I began catching at the age of 8 and have caught ever since. It is a position I have enjoyed, to be so involved in the game, working with the pitcher and being a position of leadership. I want to stay behind the plate for the majority of my career. I think I have the skills and the drive to work to do that. If towards the end of my career first base is an option to extend my career, that would be great. Cameron Rupp: I think my best skill is my work ethic and love of the game. I am not sure what is my best skill. I believe that I have a strong-arm and the ability to be a good power hitting catcher. Cameron Rupp: Consistency in all phases. I believe at times we all show big league ability. It’s about doing it over and over again. Cameron Rupp: I wish I could project when my time will come. I hope it is sooner rather than later, but I understand getting to the big leagues is a process of continuing to improve everyday. I would like to think that I can have an opportunity within the next couple of years. In order to do that, I probably will need to hit with power more consistently. Cameron Rupp: Bull Durham, it really was my first exposure to minor league baseball and it is probably pretty close to reality. Also, The Sandlot is a great baseball movie. It was more of my dad and uncle’s time, but it showed how baseball becomes such an important part of your life, that your friends and can carry through your whole life. MLB reports: Have you been to Philadelphia yet? Are you ready for the Philly Phaithfuls? Cameron Rupp: I have been to Philly. Right after the draft I was fortunate to see a game at Citizens Park, meet some of the Phillies and visit with the organization. It was a great opportunity for me. I don’t know if the Philly Phaithfuls are ready for me, as I am a big Cowboys fan. Cameron Rupp: It has been a lifelong dream to play in the big leagues. I love the game of baseball and have been very fortunate to do the things I have been able to do because of baseball. The friends I have made, the opportunity to play at Texas, and now to play professional baseball. With hard work and focus, hopefully I will be able have a long career playing the game that I love.